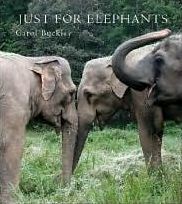 These books offer an exciting window into the world of Asian elephants, the men and woman trying to save their habitats and better their lives, as well as beautiful stories for all ages. Read, discover, get involved. 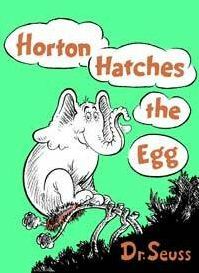 An exciting fictional adventure. On his quest to save wildlife, Owen risks his own existence, all the way from the escarpments of the Swiss Alps to the devious meanders of the streets of Dar es Salaam. 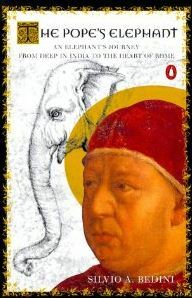 Savannah Gold is the second book in a series a following the Rhino Connection. Portion of proceeds go to rhino/elephant conservation. Born in captivity, Ernest has no idea about life in the wild, where close-knit families of elephants live as long as humans—presuming humans let them. 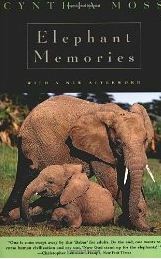 His first elephant friend, wild born Frankie, tells Ernest all about the pleasures of living wild, and the family he misses so much. 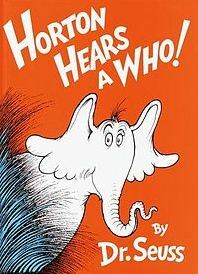 A vivid introduction to the elephant, in the colorful Eyewitness visual style. 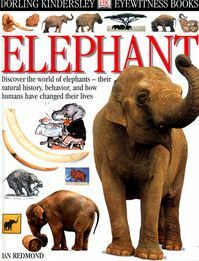 With plenty of background on the natural history of the elephant, including description of its behavior and social habits. Great for children too. 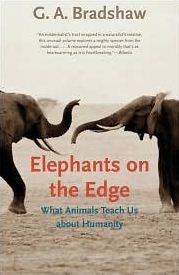 This thoughtful book by animal trauma specialist Bradshaw draws analogies between human and animal culture to illustrate the profound breakdown occurring in elephant societies. Amboseli National Park, near Mt. Kilimanjaro in southern Kenya, is home ground to some 600 elephants; this herd has been relatively free from human interference and was a major focus for field study. Moss follows one extended family through 13 years of good times and bad times, observing details of their daily lives; mating, migration, social behavior, births and calves, and family history. It’s the Depression Era and Jacob, finding himself parentless and penniless, joins the Benzini Brothers Most Spectacular Show on Earth. There he meets the freaks, grifters, and misfits that populate this world. 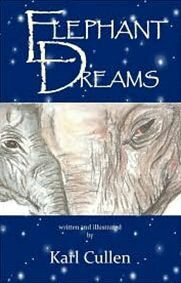 He introduces us to Marlena, beautiful star of the equestrian act; to August, her charismatic but twisted husband (and the circus’s animal trainer); and to Rosie, the seemingly untrainable elephant Jacob cares for. 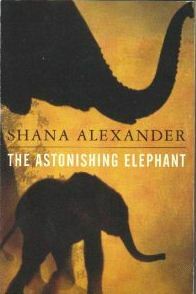 Raised together in a small German circus town, a boy and an elephant formed a bond that would last their entire lives, and would be tested time and again; through a near-fatal shipwreck in the Indian Ocean, an apprenticeship with the legendary Mahout elephant trainers in the Indian teak forests, and their eventual rise to circus stardom in 1940s New York City. Most elephants in America live in circuses and zoos, and their lives are very different from what they would be in the wild. But there’s a very special place in Tennessee called the Elephant Sanctuary, where elephants can finally have the freedom to roam and have elephant friends. Best friends come in all shapes and sizes! 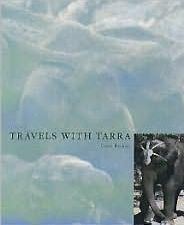 After retiring from the circus, Tarra became the first resident of the Elephant Sanctuary in Tennessee. 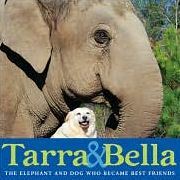 When other elephants moved in and developed close friendships, only Tarra remained independent – until the day she met a stray mixed-breed dog named Bella. 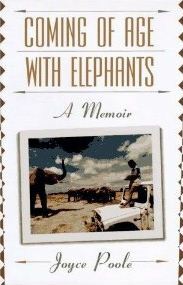 Inspired by the real life experience of the author who spent four months with the two orphan elephants, Ging Mai and Hope, this is the story of how after finding each other, they head off to search for the most important thing in a young elephants life; a family. 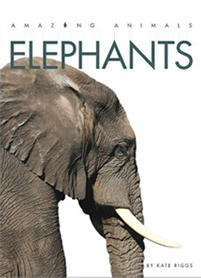 This fairly new series of books explores many animals from the world in a way that even young readers will love. Every few sentences is accompanied by a full-page picture. Children learn how much the animals weigh, what they eat, where and how they live, who their predators are, and other basics. 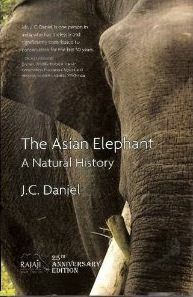 There is also a short fable included in the back of the book about some aspect of the animal.